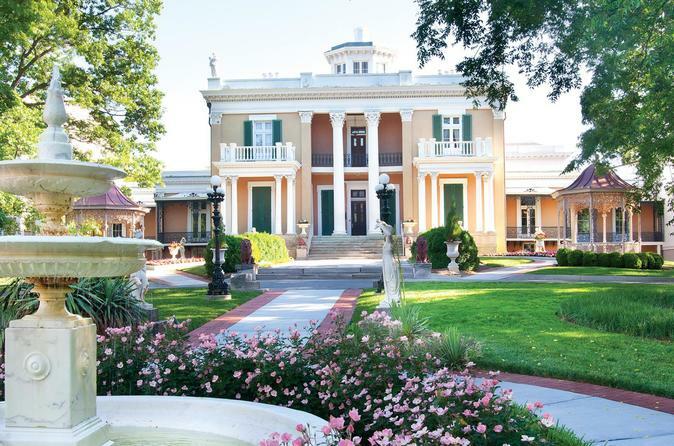 As one of the largest antebellum houses in Tennessee, the Belmont Mansion is a popular enough destination that it’s worth booking your admission in advance to guarantee you get in. A guided tour through the Italianate Villa and optional self-guided audio tour of the grounds are included so you can learn about the house’s history and features as you go. Make your way to Belmont Mansion, located just 3 miles from downtown Nashville. Walk through the meticulously restored rooms of this Italianate Villa, complete with an impressive display of original furnishings, artwork and statuary. Belmont Mansion is a must-see for anyone interested in women's history, Tennessee history, the Civil War, architecture, art and decorative arts. Ring the doorbell and our historical interpreters will welcome you inside for a narrated journey through this beautiful estate. Then, take an optional self-guided tour of the gardens, grounds, and other historic buildings, starting your tour in the front of Belmont Mansion. Listen to an informative podcast and immerse yourself in the beauty of Adelicia's estate. At the end of your visit, make your way back to downtown Nashville and enjoy the city.